D.C. United is one of Major League Soccer’s most storied clubs. After 21 years at RFK Stadium the four-time MLS Cup champions moved into their new home at Audi Field. 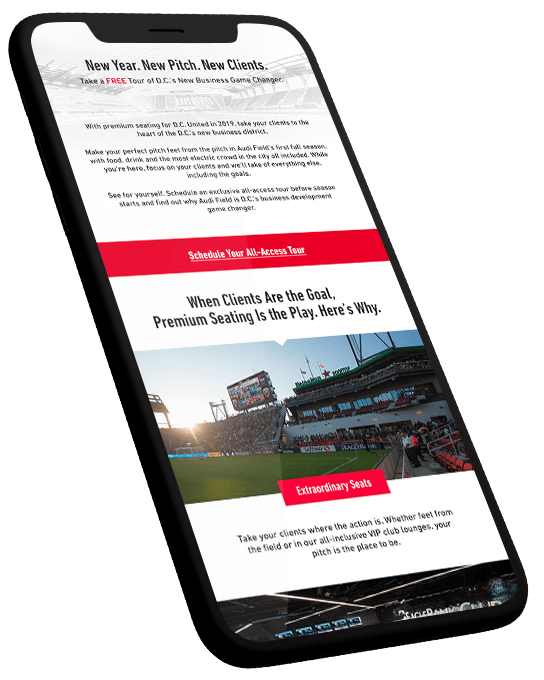 When the Black-and-Red needed a partner to help generate excitement and sell premium seats they turned to Bluetext. What we gave them was something GOALden. Bluetext created a multi-touch, multi-channel campaign which delivered messaging across multiple digital channels,, social media, email and microsites. What makes Audi Field D.C.’s new business district? Bluetext interviewed current premium season ticket holders about their experiences using DC United’s unique atmosphere to enhance their new business efforts. The results was The Perfect Pitch. 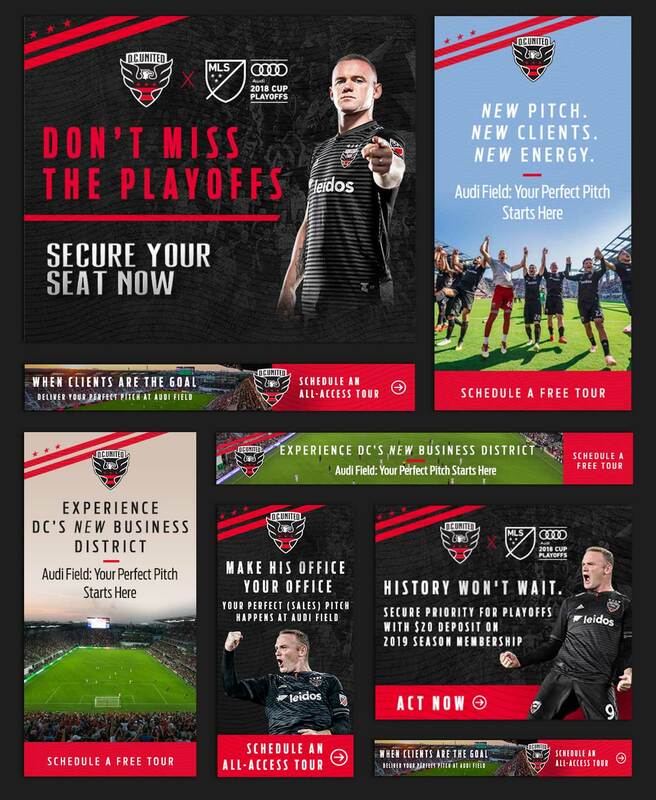 The campaign, including this microsite, highlights the benefits of premium seats and generated numerous leads for the D.C. United sales team. 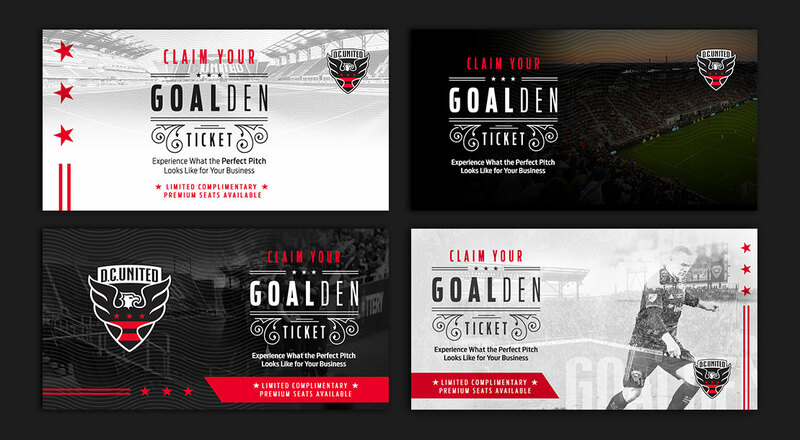 When Clients Are the Goal: Bluetext targeted the small & mid-size business market, a growth area for D.C. United. Marketing focused on the excitement of the stadium and a new way to do business development. Email drip campaigns targeted select prospect types. 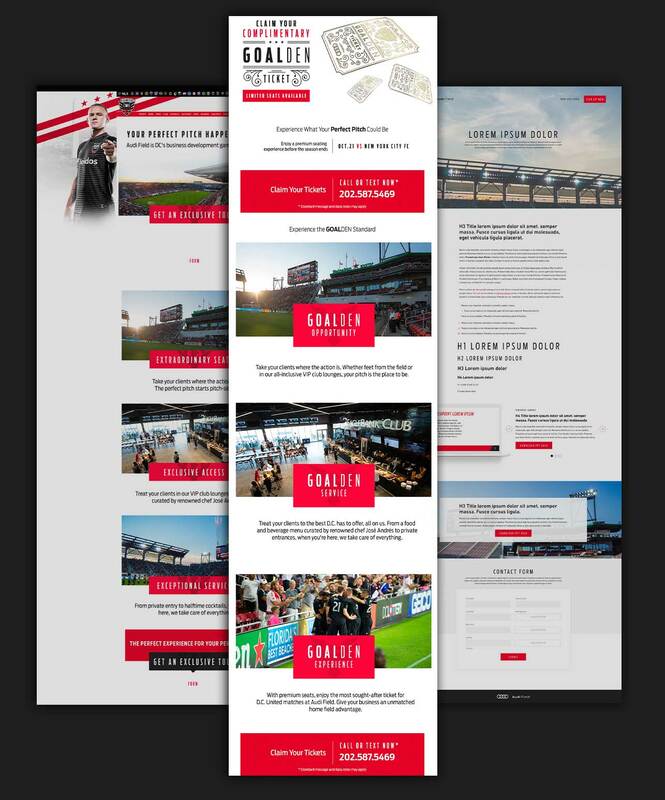 Emails generated new leads as well as excitement around D.C. United’s first full season at Audi Field. 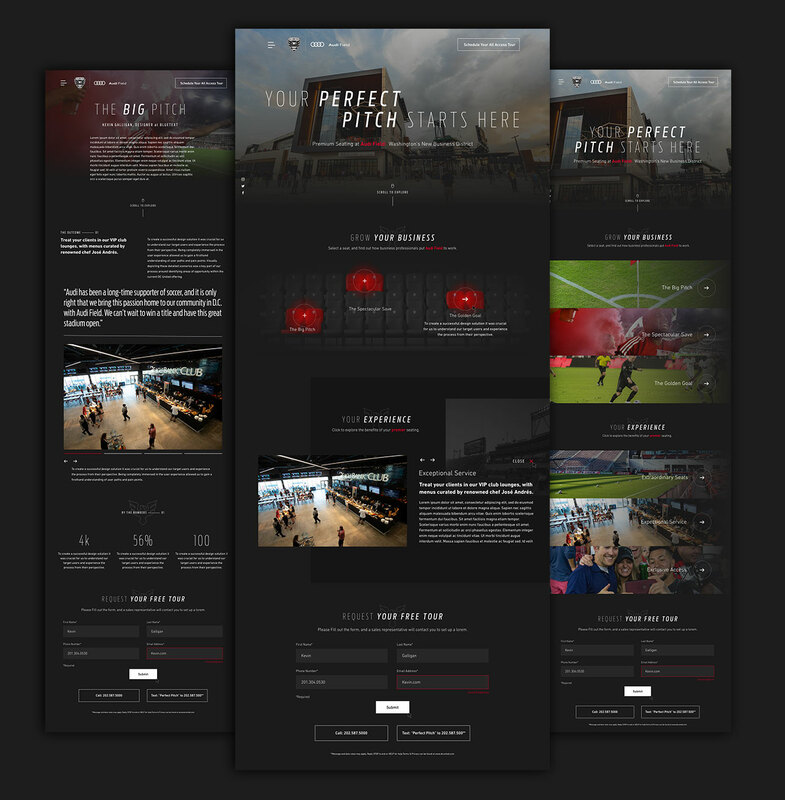 Bluetext reached new fans with targeted display advertising, driving season tickets sales and generating interest in United’s surge to the playoffs. 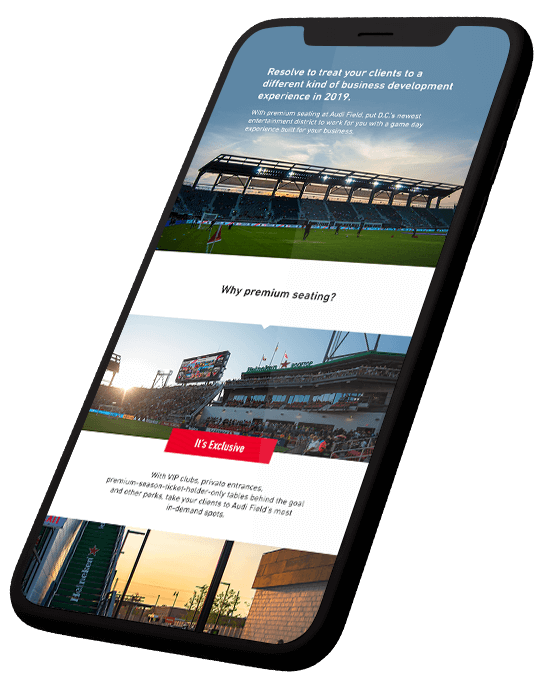 Speed to market – When DC United’s late season hot streak pushed the club into the playoffs on the last week of the season, Bluetext pivoted to take advantage of this historic opportunity. Championship look and feel – Bluetext helped create a cohesive brand identity to enable D.C. to stand out time and time again. For consumers, Bluetext created a GOALden ticket campaign to deliver exclusive offers for once-in-a-lifetime experiences. Bluetext created the visual style and executed across emails, LinkedIn and D.C. United web properties. Want to score more clients with you marketing? Contact Bluetext and get in the game.